Crimson Valley offers quality lawn care and landscaping maintenance services to residential and commercial clients. Customized lawn maintenance is an important step to a beautiful and carefree landscape. What is more wonderful than walking on a plush, green lawn? 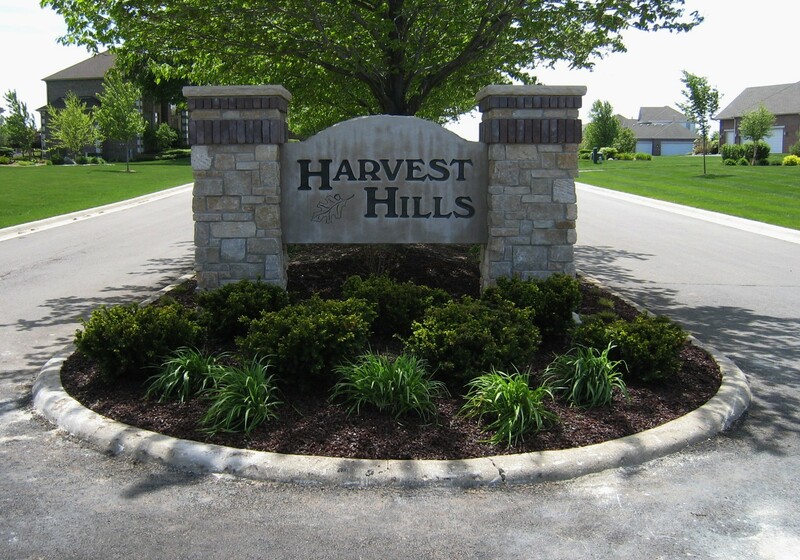 Crimson Valley Landscaping will provide you with sod, seed or hydroseed to create that immaculate setting. Our lawn experts will guide you through the proper lawn application for your home landscaping. Combine our professional installation with an in-ground irrigation system and our lawn maintenance service and your lawn will certainly flourish. There are important factors to consider when choosing a lawn installation that is right for you. Review them and discuss your options with our landscape professionals. Time of year is important. Although turfgrass sod may be installed year round as long as there is sod available. Seed and hydroseed are not recommended in the summer; spring and fall installations are best for seeding. Water Requirements are highest for seeded lawns. The bare soil dries out quickly. Hydroseed will require moderate to high watering, the mulch will preserve some of the moisture. Sod is the lowest of the three; sod will shade the soil and prevent it from drying out. Weed Control is minimal with a sodded lawn; the need for chemical control is very low. Seed and hydroseed lawns will require multiple chemical applications to combat the weed invasions until the lawn is established. Heavy rains may cause washouts in the seeded lawns; this can cause spottiness or other damage. A seed lawn has no protection from erosion for several months. The mulch of a hydroseeded lawn should help provide some protection while a sodded lawn is capable of handling heavy rains without runoff or damage. While all lawns will require low traffic immediately after installation, a sodded lawn will give you the quickest turn around. A sodded lawn will tolerate normal to high traffic within 2 to 3 weeks. Seed and hydroseed will tolerate low traffic for 2 to 4 months but you should refrain from normal use for a full year. Seeding your lawn will be the lowest cost, hydroseed is a mid to high cost while sod will be the highest cost.